What Would Cable Logging Mean for the Flagstaff Watershed Protection Project? A non-native species takes a dip in the Dry Lake Hills north of Flagstaff. Erin Phelps: Cable logging is just basically a method for removing timber that was cut. So, it’s used on steep slopes where we can’t get normal ground-based equipment and where we probably are going to be doing hand felling. So, using people on the ground to cut timber and we can’t get it out of there any other way. So, it uses a skyline yarder usually, at the very top of a steep area, and then they string a cable down to an end point and then you kind of move the material up that cable logging corridor. Ryan Heinsius: In other regions of the U.S., cable logging has often been associated with clear cutting. Would it be synonymous with clear cutting here and can it be done in an environmentally conscious way? EP: The cable logging here is not going to be used for clear cutting. No part of our proposal or any alternative is using clear cutting. This is just basically a way to remove the timber off of the mountainside that’s really steep. And so, the prescriptions are going to be more of a restorative kind of prescriptions, so clumps and groups and some openings – much more dense than what’s usually done up north too. We’re not proposing clear cutting anywhere. RH: Why is cable logging – something never before done in this area – an option that the Forest Service has deemed appropriate for this project? EP: Well, the majority of the Coconino, for example, is relatively flat. So, it’s usually less than 40-percent slopes and we normally don’t treat above that. Or, if we do, we limit it to hand thinning. So, this is the first project, at least on the Coconino, where we have steep slopes and not ponderosa pine – we’re treating in mixed conifer. And that’s kind of new to us too. Normally, mixed conifer is on steep slopes and we just kind of leave it all alone. So, that’s why we’re proposing cable logging and, in one alternative, helicopter logging because that’s the only way to actually get that stuff off the mountainside. RH: What does cable logging accomplish that hand thinning doesn’t? EP: It removes the timber. If we just go up there and hand thin, we’ll have to pile in place and burn those piles or leave them scattered, which would actually raise the risk of fire again. So, it’s just another way to move the timber off the mountainside. RH: What are the possible environmental impacts of cable logging? Is there a downside to it as you see it? EP: Well, the main downside to cable logging would be probably the 12-foot corridor that’s required to be able to move the timber up the cable. So, in that 12-foot swath, everything has to be removed – not down to bare-mineral soil, just the trees and the brush. And that’s, keep in mind, stem-to-stem, tree-to-tree, it’s not the canopies. So there’ still canopies that still goes over that 12-foot. So that’s a big concern. Another concern is, for safety reasons, for OSHA, we have to remove all the snags that are in the area where people are working on the ground outside of a closed cab, so outside of a machine. And that’s just for safety reasons; all the hazard trees have to be removed. So that’s a concern for wildlife primarily. RH: If a fire did occur post-treatment, let’s say in the Dry Lake Hills, is there anything having to do with cable logging that would, in fact, prevent flooding? EP: We’ve looked really closely with those cable logging corridors and any concerns with additional erosion. I know that’s a big concern with the citizens of Flagstaff and of our analysis team. We actually have some Best Management Practices, BMPs, in place, so that if we do see something like increased erosion, or the potential for that, we have measures in place before we ever get to that point. So, for example, putting in water bars if for some reason we get down to bare mineral soil, which we don’t anticipate doing, or slash mats – different ways to divert of decrease the flow down those cable logging corridors. RH: Has cable logging been used in a successful way in the mountain West, in the way that the Forest Service is proposing for this specific project? Has it been successful in preventing wildfire or being part of a prescription that prevents wildfire? EP: You know, that’s a good question. Cable logging hasn’t been used extensively in the Southwest. We are aware of about two instances on the Mescalero-Apache Tribe’s land, and we’re talking to them about some benefits or concerns that they had, and they never noticed any increased erosion off those cable-logging corridors. It’s also been used in the White Mountains, but keep in mind that those prescriptions were vastly different than what we’re proposing here. We believe those prescriptions were more tied to clear cutting or harvesting – like, removing timber for timber purposes, instead of reducing the risk of wildfire, or the secondary issue of restoration. So in terms of in the Southwest, it’s pretty limited what we’ve seen with cable logging. But, we’re talking to people that have done it recently, and talking to people in the Northwest also about what they’ve seen up there. RH: Are there any alternatives to cable logging that would be on the heavier side of treatments? Is there an alternative that isn’t so associated with clear cutting that would achieve the goals that the Flagstaff Watershed Protection Project and the Forest Service have set out? EP: Well, our alternative three looks at using helicopters and specialized steep-slope equipment instead of cable logging, just to compare those different impacts. And they’re the same prescribed treatment so we’d be removing the same kinds of trees out of both of those alternatives, it’s just the removal method that would be different. So we’ve looked at those two. And, there’s different impacts under each. For example, cable logging actually has shown, when done correctly, to have less impacts on soils, less ground disturbance, than ground-based equipment. And, helicopter logging is very expensive. So, there’s some tradeoffs with that too, so it’d have to be very, very limited or very precise about where we wanted to utilize that resource. So, those two alternatives are a good side-by-side because it’s the same proposal but different harvesting methods. RH: Especially for the Dry Lake Hills area, I think something that a lot of people are concerned about is the so-called viewshed, which is essentially what you see from town. If cable logged there would be some effect on the aesthetic nature of what you see from town. Tell me a little bit about how the Forest Service, how the project, is contending with the knowledge that people are ultimately very interested in the aesthetic beauty of the area, and how would cable logging affect that? EP: We took a close look at that, because that’s a concern of ours too. We have a scenery analysis in our DEIS that looks at that and one of the things to point out is, for example, on Mount Elden, which is obviously very visible from Flagstaff, we’re not proposing cable logging from the top all the way to the bottom because there’s no real need, there’s a lot of rocky ground in there that’s not really a risk for wildfire. So, it would be the top uppermost slopes. And yes, there would be some impacts to the visual quality of that area. And so, some of the ways we’ve talked about working around that is when it comes time to draft a decision, maybe those areas we look at investing in helicopter logging in those areas, or maybe we just do hand thinning and get a little less reduction in wildfire risk, but if that’s what the citizens of Flagstaff are really concerned about, maybe we take a little bit less of a reduction of the risk of wildfire, but we maintain our scenic values. So, there are some options out there for treatment, but still, not losing the character of Flagstaff. RH: Would it have more or less impact on the environment to do lighter treatments, like hand thinning, every few years in a specific area, or would it ultimately have less impact on the environment to do one heavy treatment with a longer-lasting result, such as cable logging? EP: I guess that depends on who you talk to. The benefits of hand thinning are a lot more short term. So, you can only really remove trees up to, we say only nine inches because there’s limitations as to how much people can move on the ground. You can fell higher diameter trees but it’s harder to move those around. So, if you can only thin up to nine or 12 inches, then are you really affecting enough change to reduce the risk of wildfire? In hand thinning, you have to pile that stuff, you can’t really move it off the mountainside, so in the short term there’s additional risk to wildfire because there’s heavier fuel loading. So, you’re kind of almost in a waiting game to make sure you have enough time for those piles to dry out before you burn them, but also taking a chance that a wildfire could come through there and burn hot. So, short-term impacts are probably a little bit less in terms of visual, in terms of wildlife impacts and impacts to soils, but you might not be getting the same kinds of benefits, and especially in the long term because that stuff grows back pretty quickly. So, with stuff like cable logging or the heavier treatments we can implement using cable logging or helicopter logging, the short-term impacts are definitely greater than hand thinning, but the long-term benefits are also greater. RH: What in your mind is the most important thing for the public to know when considering the options on the table for the Watershed Protection Project? EP: I’d say that their comments really do matter and that it’s not a voting process. It’s not really that helpful to get a comment that says, “Hey, I vote for alternative two, or alternative four.” What we really need is specific input, like, for example, “The viewshed of Flagstaff really concerns me. I’m worried about cable logging on the face of Mount Elden.” That’s something we take into account because it affects your quality of life. Or, if you’re concerned about a certain trail and you see on Google Earth KMZ that we are proposing cable logging right across that trail. And you’re really concerned about that because you’re worried it might damage the trail or ruin the experience once the project is over. Those kind of comments are really useful for us because we take that into account. And, keep in mind that it could be a blend of all four of them. We could defer some areas of treatment completely, we could incorporate a little bit of cable logging, a little bit of helicopter logging, a little bit more hand thinning. All the options that we analyze are on the table for mixing. Public comment on the Flagstaff Watershed Protection Project runs through Mon, Aug. 18. For more info, see flagstaffwatershedprotection.org. The public comment period for a major forest-thinning project in the Flagstaff area will end Mon, Aug. 18. As Arizona Public Radio’s Ryan Heinsius reports, the project could involve heavy thinning in some of Flagstaff’s most picturesque areas. A personal finance website has ranked Arizona as the 10th most at-risk state for natural disaster. 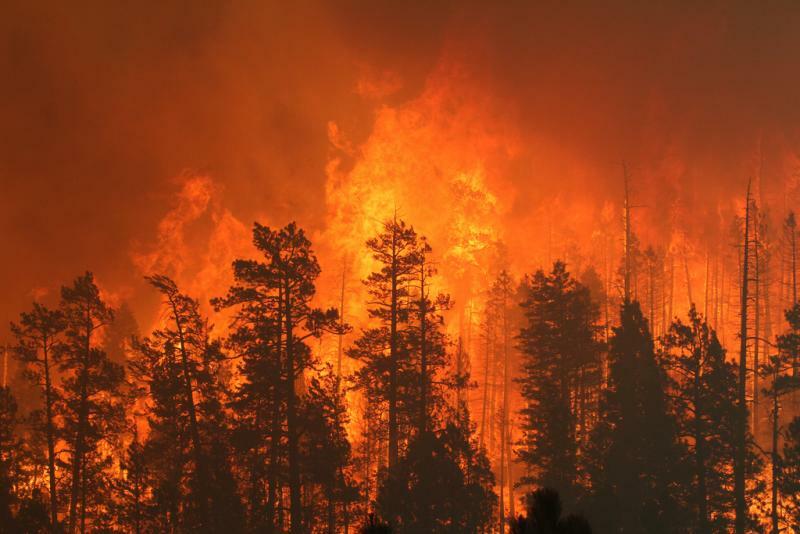 As Arizona Public Radio’s Ryan Heinsius reports, major wildfires caused by persistent drought contributed to the Grand Canyon State making the list. Managers on the Kaibab National Forest have been taking advantage of wetter conditions by allowing multiple wildfires to burn. But, as Arizona Public Radio’s Ryan Heinsius reports, with drier weather on the way, crews are preparing for more unpredictable fire activity. 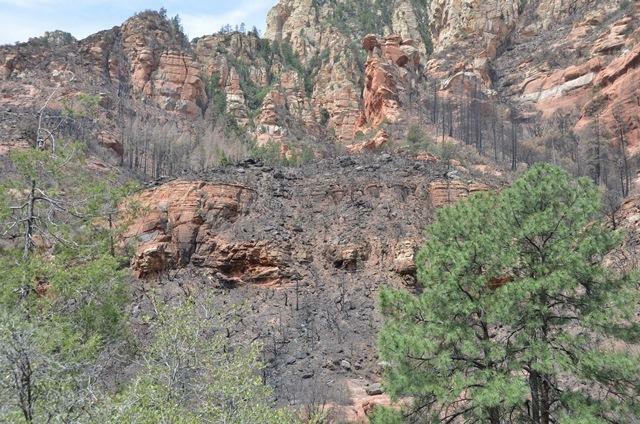 Coconino National Forest officials are actively managing four lightning-caused fires. All are burning at a low intensity on the forest floor. 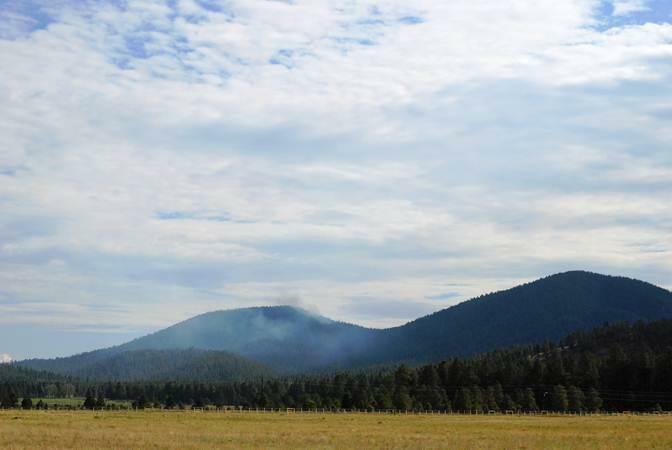 As on the Kaibab National Forest, these fires are being used to increase safety, reduce fuels and for vegetation and wildlife habitat restoration. The 300-acre Willard Fire is burning south of Flagstaff between Oak Creek Canyon and I-17 near the Willard Springs Interchange. Smoke may be visible from Kachina Village, Mountainaire, Munds Park and Sedona. Officials in Coconino County are advising the public not to drink from or swim in Oak Creek.  As Arizona Public Radio’s Ryan Heinsius reports, recent water contamination is yet another consequence of the Slide Fire.